Baldy Mountain Resort skiing offers an experience like no other. 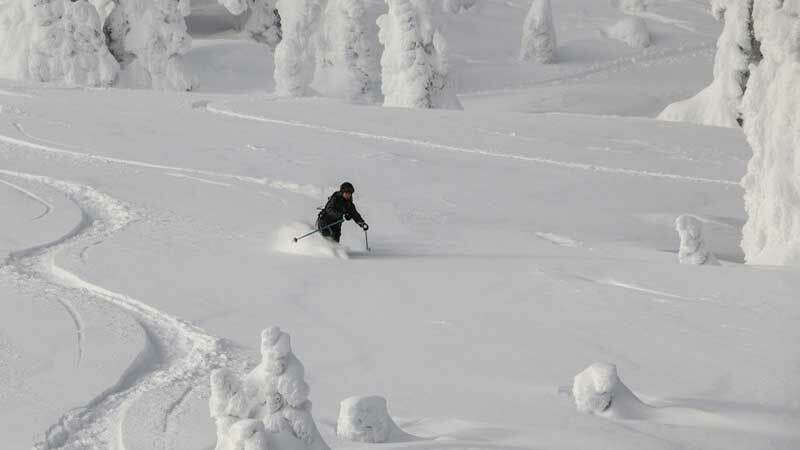 With 25 feet of powder per year (and sometimes more), excellent daily grooming, and a wide variety of terrain to choose from, Baldy Mt in the Okanagan, BC will leave you grinning from ear to ear. Two peaks, groomed corduroy cruisers, open gladed areas, iconic snow ghosts, and powder stashes for days can be found within the 600 acres of terrain at Baldy Mt. 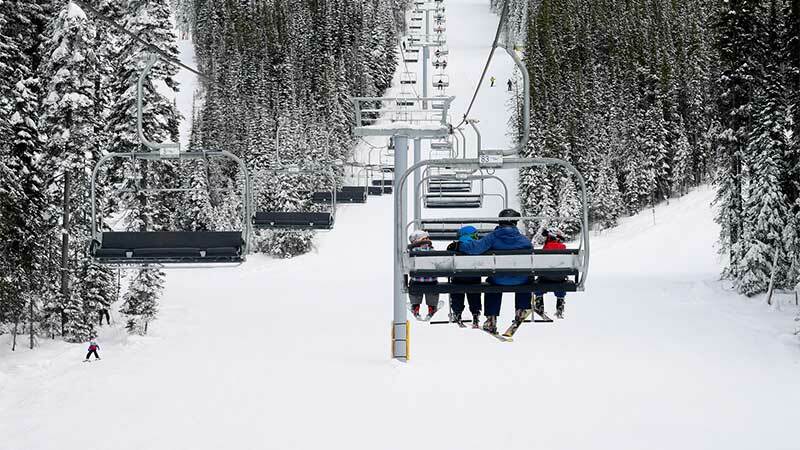 All of this, without the massive lift lineups! Baldy is a hidden Okanagan gem that offers an unplugged feeling of having the mountain to yourself…almost. 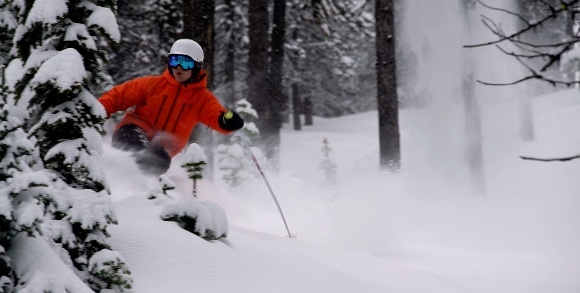 Baldy Mountain Resort is a powder paradise awaiting your discovery. Baldy boasts amazing desert powder, and fine, dry BC interior snow. That, coupled with stunning alpine vistas and the fresh mountain air, will provide the perfect winter wonderland experience for anyone visiting Baldy Mountain Resort. A quick trip up one of our two main lifts and you’ll be able to explore our black run chutes, or cruise through our tree runs. With few lift lines and a reputation as a “locals” mountain, you’ll be making fresh tracks long into the afternoon. With the resort closed on Tuesdays and Wednesdays, you’ll be able to experience our famous Big POW Thursdays, with two whole days of untouched snow for you to enjoy. Baldy Mt is a family ski resort. We’re immensely proud of our ability to bring families and friends together for epic ski experiences. Our ski rental service provides quality equipment for hire, and the Snow School offers a variety of group and private lesson packages, with 80% of our terrain aimed at beginners and intermediate skiers, making it ideal for all ages and abilities. You and your family can enjoy the mountain together, and after a great day on the slopes, take part in some après-ski at the Baldy Bar. And for those looking to for something different during your stay, try out some cross-country skiing or snowshoeing once you’re done on the ski slopes. Whatever your ability level or winter interest, there is something for everyone at Baldy Mountain Resort!